"In recent years wild or wild-simulated American ginseng dug in New York state has been selling for well over $1,000 per pound, dry weight, or around $300 per pound, fresh weight. This is the price that ginseng harvesters and growers are paid by dealers. The actual retail price of this ginseng sometimes exceeds $15,000 per pound dry weight. 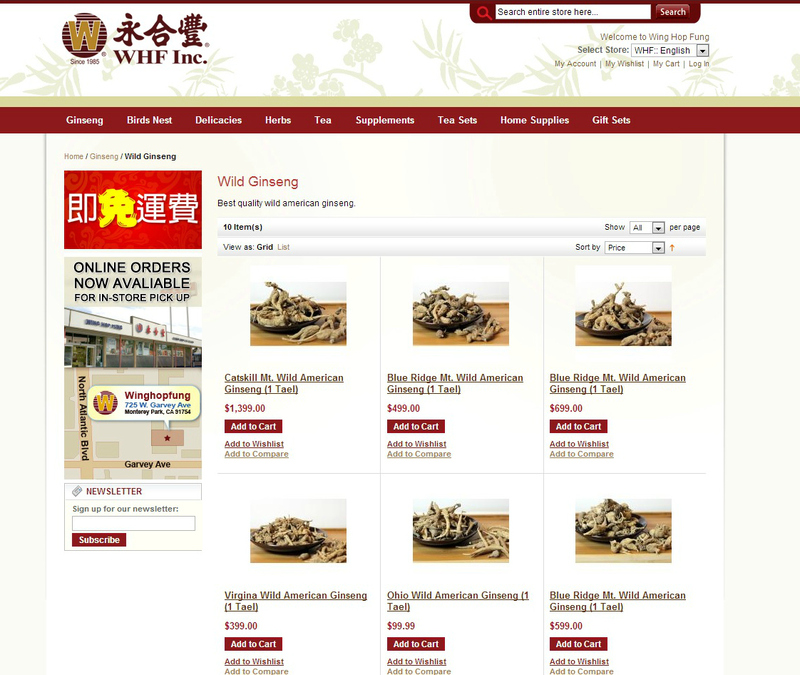 You can check this out at the website operated by a Los Angeles Company called Wing Hop Fung. 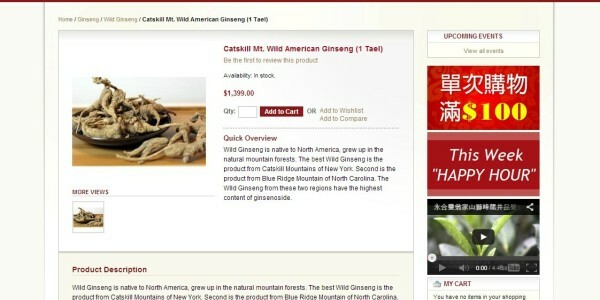 Google it and see for yourself the prices that ginseng sells for retail." So that is exactly what I did. Below is a Screen Shot of the site today. Catskill Mt. Wild American Ginseng - $1399.00 a dry lb Retail... Bob also said that in recent years growers and diggers were getting $1000.00 per lb. That is very encouraging to hear. This fall 2013, I was hearing $800.00 a lb being thrown around the internet a lot. This varies state by state and year by year. It also seems that the profitability of growing Wild Simulated Ginseng keeps growing year in and year out. I strongly feel that the benefits of growing and taking Ginseng far out way the risks.